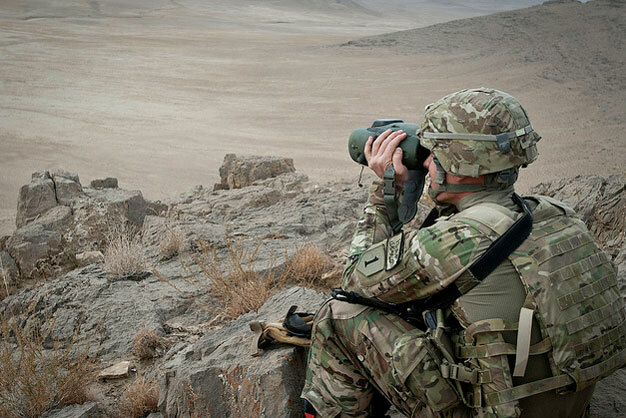 A Soldier watches the impact area as rounds are fired during a live fire exercise in eastern Afghanistan, Nov. 25, 2012. U.S. Army photo by Staff Sgt. Nicolas Morales.